Depart from your hotel on an air-conditioned bus with your English speaking tour guide. Follow your guide to a beautiful quite stream. Swim through the crystal clear waters with all snorkelling equipment provided. Enjoy a tasty lunch at a local rustic restaurant on the island. 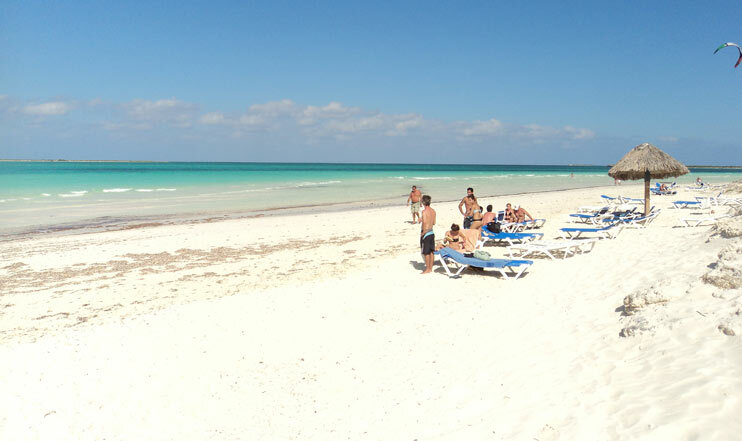 Free time to get a healthy suntan at Playa Pilar. Esta entrada fue publicada en English, Gaviota, Jardines del Rey, Keys of Cuba - Villa Clara, Local Tours y etiquetada Jardines del Rey. Guarda el enlace permanente.